Please note you MUST own all the previous Core’s before the one you are ordering. 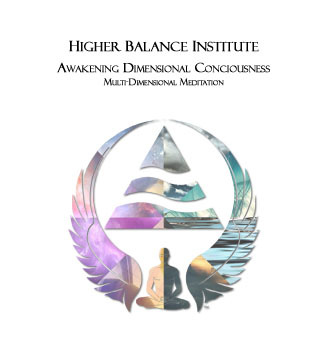 For example, prior to ordering Core V, you must own the Core I : Awakening Dimensional Consciousness Guided Meditation System as well as Cores II through IV. If you order a Core you aren’t ready for your order will not be shipped out, or downloaded, and your payment will be refunded. We are not alone. The Unknown Door will open you up to a whole new realm of profound awareness and experience. Once you discover, choose to accept and begin to experience realities beyond the brain, it is time to explore, reveal and awaken to even deeper levels of the mysterious and beautiful phenomenon that is our Universe! 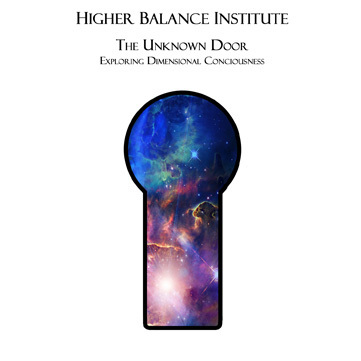 Higher Balance's Core V : The Unknown Door will provide you with specific and simple to implement techniques to find and interact with dimensional beings. The Unknown Door also explores the many facets of reality far beyond what many "perceive" reality to be. Every perception a person holds can be likened to a bubble. That bubble is essentially what determines their "perception" of reality which in turn determines what their reality will consist of. Each person is unique and experiences a separate world to themselves. We all desire and seek to find a "Higher Truth." What you are searching for lies between these ‘bubbles’. A place without concept or construct. By observing and becoming aware of the bubbles of others, you discover your bubble. It is then you can begin to move ‘between’ them and experience the magnificence of what lies in the "unseen realms." Life outside the physical body, as a spiritual being...as an energy being, as a consciousness, is ready to be explored. It is the ultimate in experience and once discovered is the dream of all dreams. In Core V The Unknown Door,, Higher Balance Institute founder Eric Pepin will cover in explicate detail all the different kinds of energy beings that exist and should you choose to do so, how to find and communicate with them. You’ll also learn about traveling into the dreams of others, as well as how people travel into your own dreams. Learn the truth and don’t be afraid… if you are not the body, you are not male or female, you are in essence dimensional consciousness, then what reality does that consciousness exist within and how do you explore it? The answer to that question lies through The Unknown Door. 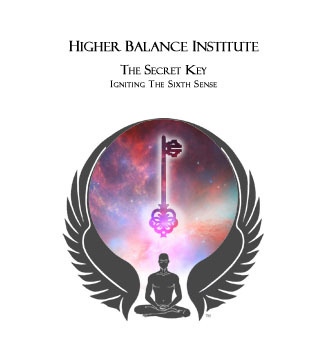 Eric Pepin and The Higher Balance Institute will introduce you to that door. The only thing remaining for you to do is choose to enter into and walk through it. What you'll experience as a result is nothing short of indescribably profound. Spiritual Awakening and the desire to exponentially progress in your spiritual development journey is simply a matter of choice. 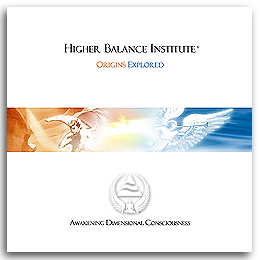 The Higher Balance Core V : The Unknown Door expansion modules provide the understanding, awareness and the techniques to achieve it...the rest is up to you. Explore the history and evolution of the two most mysterious archetypes in our modern culture. From From the dawning of man, we have been plagued by the figures of intense evil and blessed by others of intense good and light. Within this module, you will explore the origins behind these beings that have been a part of our culture for thousands of years. Follow, as Eric leads you from the dawning of modern civilization through mankind's cultural evolution and explore how we, as an inquisitive species, found creative ways to describe powerful influencing beings and forces that many still strive to understand to this day. Eric reaches into the depths of how these magnificent beings came into being in the world of man. Preconceived notions and mysteries that stem from stories of demonic possession and angelic presences will be uncovered and brought into the light of truth. Witness your understanding rising beyond common mythical descriptions as you experience the truth revealed! *Classic Series: Origins Explored is a release from the Classic Series. 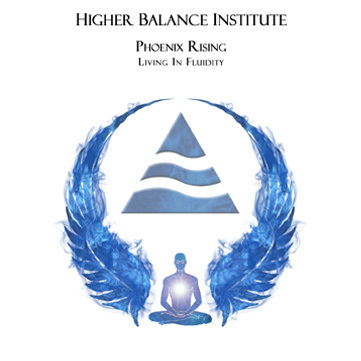 This series is a compilation of audio material created by Eric Pepin over the last 15 years during Higher Balance's development. The audio quality of the Classic Series has been digitally re-mastered from the original analog recordings. Explore Life Beyond The Human Limits... The Unspeakable is Spoken. How did we as a race get here? Where did we come from? Were there others like us? What’s going to happen as we evolve? Is there something beyond what we are? We all have pondered on the possibilities of life outside of our known world. Was there life on Mars? Are aliens real? What other life forms are out in the Universe? What about the existence of "Super Beings?" Do others walk amongst us that are more than human? Come along as Eric answers the biggest questions about the evolution of life! In a no-holds-barred class, not only does he answer questions about our own evolution, but the evolution of everything that was before us and will be after us. Mind numbing information! "Think about it, if someone like Eric is stepping forward into the lime light and he Exists... then what are the other possibilities...?" This compelling course delivers mind-gripping information on how life is designed and flourishes. Insights found here will leave you reeling for days! Begin the great exploration of life beyond our world! Be completely blown away by the timeline Eric draws for you. 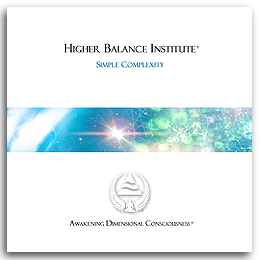 The complexity of concepts in this course will astound you! You will find answers to our development, and how certain “mutations” lead to the possibility of beings that can live thousands of years! Think about what the implications are! This will make you see what you are and what you can become in a completely new light! It’s like crossing a great ocean, beyond the world of humans, and meeting for the first time the very real possibilities of other unique intelligent species sharing our reality! What really is the Purpose of Life? What Role do you Play in the Vastness of the Universe? Grasp onto Eric’s coat tails and hang on tight as he spirals upwards to astounding new heights. This course inspires all to plunge into the depths of themselves and pull forth the precious hidden gems that lie within! Until now you have only speculated at the potential you truly possess. 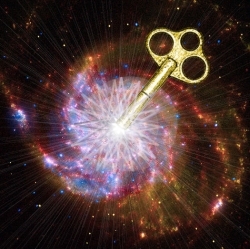 Claim your place within the Universe and step forward as you unravel the mysteries between you and the universe "Force" in this New, highly potent Archive Release! Push past the confines of human thinking in Journey into the Cosmos. Learn to finally separate yourself from the Machine so you are only left with your True Self. Awareness awakens the sleeper and feeds the soul. Rare insights in communicating with the Force! How certain biological functions can present barriers in development! How science is now discovering that the brain is not as responsible for memories and thought as once thought! There is no better investment than your own spiritual growth and development; invest in yourself and call for your Brand New Archive Release Right Now!! Explore the hidden world of Energy Beings! In this expansion module I teach methods you can safely utilize to explore their environments. With these methods, you will learn how to protect yourself from negative encounters, understand how these beings think, and discover why they do what they do. Why some homes that appear haunted are not. What the reasoning is behind a haunting. Learn about a variety of unique beings often mistaken for general entities. How to see an entity & how to distinguish between different beings. Learn what the effects of paranormal beings are when they are near. How to befriend an entity or help lost and departed spirit friends. How to remove a negative entity despite how powerful it is. How to close a dimensional vortex or entrance. 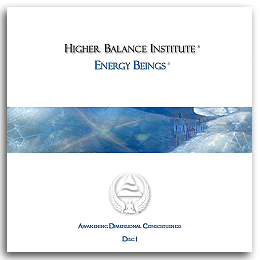 I know from a spiritual perspective, exploring the world of Energy Beings may seem unusual and perhaps distracting to those seeking enlightenment or higher states of consciousness. But I strongly disagree and suggest a broader perspective. As you meditate using the technique in Foundation Guided Meditation System, you will inevitably realize you are more then simply a being of flesh. You (if you haven't already) will also become directly involved with experiencing energy dimensions, if not by actually moving through them, then at least by becoming hyper-aware of them. Consequently, this can present a problem for most; Fear. Most people fear the unknown. The most ordinary example of this is the fear of death. Often overlooked by persons seeking enlightenment or dimensional breakthroughs, this primal fear, in itself, will prevent necessary experiences from taking place that could further align and familiarize you with your energy bodies! Deep within your brain and psyche, there exist strong core-attachments to the life experienced through your physical body. As you know, the brain is bound to the physical world. Within it's mechanisms it instinctually resists any separation from that world. Let's admit it! Death and the unknown is uncomfortable to those of us who accept this 'physical dimension' as all there is! However, you must realize this survival mechanism of your brain also restrains the desire to seek experiences that are beyond what it knows 'physical nature' to be! Where is the solution? As we know, the psyche is manipulated or guided by personal knowledge and experience. Therefore the gateway to move beyond all of this is held within the psyche. By experiencing and seeking greater knowledge of Energy Beings who exist outside the physical dimension, you will, through this experience, accelerate the process of liberating deep inner conflicts regarding death and the unknown. The psyche will accept this and as a result broaden the doorways to higher consciousness! When you surrender those inner conflicts, you will finally realize that there is more then this life than perceived through your five senses. This nourishes the awakening of the sixth sense & Multi-Dimensional Consciousness, which will release the physical and psychological limitations you have accepted for so long! I know you'll find Energy Beings to be a very exciting and informative class that has a surprising outcome! Fear is not the problem, living in constant fear is! 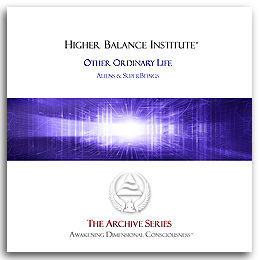 "Higher Balance is the alternative path to awakening"
*Classic Series: Discovering the One is a release from the Classic Series. 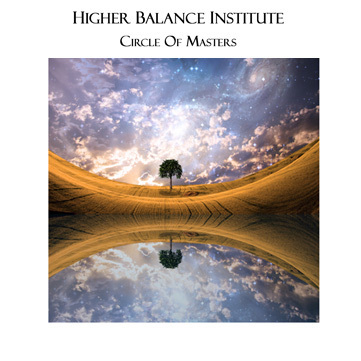 This series is a compilation of audio material created by Eric Pepin over the last 15 years during Higher Balance's development. The audio quality of the Classic Series has been digitally re-mastered from the original analog recordings. Contribute to the Consciousness of God! What part do you play in the symphony around you? Set yourself to have Mind-Bending Epiphanies as you peel apart the fabric of reality. Listen as Eric delivers an elegant angle to twist your perspective to new heights. 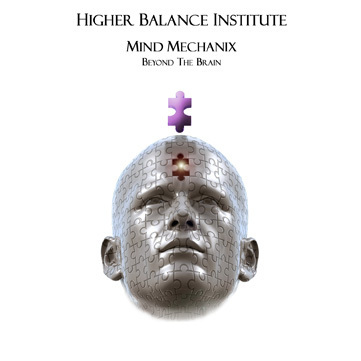 Absorb this course and see how the Universe gains knowledge and how you aid this process. How do you contribute to the knowing of the Universe? How are we all interconnected? What does this mean to the greater understanding? Answer these questions and complete your journey with the methods and techniques presented here! Gain a greater span of perspective. When you do, it will greatly affect your development. Let Eric show you how! Learn how mindsets of others differ greatly and why it is important for you as a White Cell to be flexible enough to transverse between these unique ways of thinking and move beyond them. See how it is necessary to step out of your own point-of-view and walk in the shoes of another. Eric gives realistic methods you follow to breach your awareness into different realms. Apply these methods and go into new areas of growth and astonishment! Take advantage of this knowledge and propel yourself into areas that you have only dreamt of exploring. There is a world out there that beckons for you to explore it. Take the tools given and go on a fantastic journey that you will never forget! This course takes the principles taught in Discovering the One and Reverse Engineering the Self to new heights! You will see with crystal clarity the various layers of the Gaia Mind, the Universal Mind. You will experience how we, as people, are all perspectives of the Force! Decipher the Hidden Meaning of your Mysterious Dreams! Feel the intensity crackle in this All New Recording as Cryptic Secrets of the Alternate Reality of Dreams are Decoded! This class teaches you to decode cryptic dreams! Like a specialized code, dreams can be disturbing, elating and even healing. But often times they remain elusive to our waking memories. There are reasons why they fade from our conscious mind and there are reasons why they feel surreal. Eric suggests that they feel like this because the brain is filtering out information it does not want you to have as an organic being. And, more truthfully because of the inability to fully cope with an environment it has little or no control over. You need a dimensional mind approach. It’s time to get your secret de-coder ring, find out what the heck is really going on and take charge! Get ready for a brilliant infusion of mystical knowledge! Eric will emphasize a very different and unexpected role of the navigator and a whole new approach to enable it, while in a dream world! 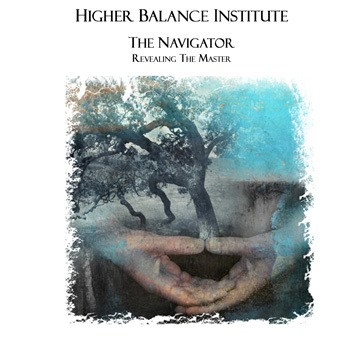 Discover new knowledge on The Navigator and understand why it is so important to be able to listen to it! Grant yourself additional abilities to Discern between the Force and Dark Influences! You must not miss what Eric has to say about the Cycles and Death of Major Religions! Discover the Real Players Manipulating your dreams and their Motives! With Refreshingly New Analogies, Examples and Techniques, Eric delivers the Nature of Dream Worlds and uncovers how to master ourselves within them! "Do not get caught in standardized thinking...everything is constantly moving." - Eric P.
-Discover the Biochemical Factor & Much more! -When Eric interprets an advanced student’s very unusual "Dream" a door is opened that gives way to multilayered conversation and a peeling away of illusions meant to misdirect the student from what really happened to him! "Eric is marvelously ingenious, I am so grateful to have him in my corner!" "Man has a need to explore...it is a mimicking of the need God has to explore. Think about it." 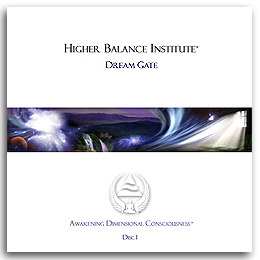 - Eric P.
Step into the Dream Gate with your newly found knowledge and explore the new worlds that await you! Hawaii 2007 Retreat – "Crossroads of Awakening"
If you missed the 2007 Hawaii Retreat that Everyone is talking about now, its OK, we recorded it! Crossroads of Awakening features all of Eric’s main Lectures and Sessions! 3 Audio CDs of Eric Pepin In-Person, Candid, and Very Raw. During the retreat, many people experienced Profound Spiritual Awakenings, even those fairly new to teachings were spiritually astounded at this event. The wind blew strong, the resort’s staff admitted how unnatural it was and knew Eric was somehow behind it. The energy was powerfully raw and his messages were vast and deep. If you value getting your hands on the Very Best Teachings in the HBI Library, these DVD’s are a Must-Have! You all know Eric has a natural ability to teach Advanced Concepts that are otherwise impossible to convey or understand. Through his personal experiences, his ability to broadcast vibrationally and his bold animated teaching style, these profound lessons do not miss their mark. Using these DVD’s, anyone can access the intensity many were reeling from! • Eric’s now well-known “Feels-Like Session” An amazing guided Sensory Journey that will profoundly tonalize you to his consciousness. • Insight into the life of the Enlightened Jesus. If you have ever felt the transformative energy emanate from Eric’s audio material, imagine the added impact of the visual reference in a DVD! In Hawaii, Eric held nothing back and felt free to be himself. Participants couldn’t believe how real he was. Because of that, we now can offer the most uncensored knowledge yet! If you are like most people, you have searched the internet in hopes of finding answers to questions you’ve had for years. Questions about your spiritual purpose, life’s meaning, and why you know and feel there is so much more to all of it than meets the eye. Late 2006 Eric Pepin had a very important conversation with one of the Instructors at the Higher Balance Institute. In this conversation, the instructor asked some very important questions that many individuals he was working with were asking him. Questions about Eric’s abilities, what Enlightenment really is, how psychic dreams work, and how Eric feels about other teachers in the spiritual circuit. But little did he know the extent of which Eric would answer him and the clarity that would be captured on audio forever. Here are some of the incredible subjects that Eric answers, presenting insights in a way you WILL immediately relate with and understand. • Eric explains the very purpose behind his style of teachings. Why they are the way they are. Why fluidity of intellect is so important. • He reveals how the telepathic undercurrents in his classes comes forward. • What the role of the Sixth Sense is in spirituality with amazing insight. How many people have misguided expectations about it’s development. And most importantly, how to put it into a clear perspective to achieve results! • The crucial importance of effort, spiritual yearning, and the striving urge to evolve. • The Intelligence of Evolution itself, and how it influences knowledge. • How psychic dreams work. How he can connect to so many dreams at once. • How Eric’s path fits in with the rest in the world. • How knowledge of this caliber spreads out, raising the consciousness of the living system it’s connected to. • How humans are microcosmically the neuro-system of the planet and the role they constitute. One of the most fascinating areas of this remarkable conversation is for the first time, Eric covers what an Enlightenment Cycle is. Why so many people feel drawn to it. Don’t get the wrong idea though. He doesn’t just water it down with new age cliché’s. Like he always does, he elicits what it is, how it evolves, and the role it plays within a spiritualists development, over years and lifetimes. For beginner and advanced seeker alike, this knowledge will immensely astound you! 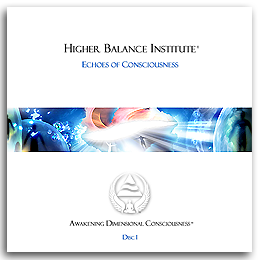 Each of the spiritual development and multi-dimensional consciousness expansion modules that make up the Higher Balance Core V - The Unknown Door as well as all products created by Higher Balance have been tested and approved through Enlightened Journey Enterprises strict screening process and are unconditionally guaranteed to fulfill their intended purpose.